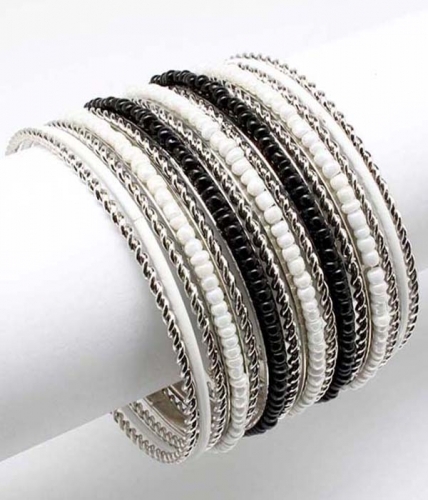 The Ana is a monochromatic set of fine beaded bracelets in white, black, and silver. The easiest way to accessorise your office black and complement your summer white. Order now and take your collection of fashion accessories to new heights! Fun, formal, chic or unique….we have it all!